To enable us to reflect on the last days of winter and anticipate Spring, some reclining options. $150 to $300. grays303	. Uncategorized	. antique office, journslist, reporter, writer. 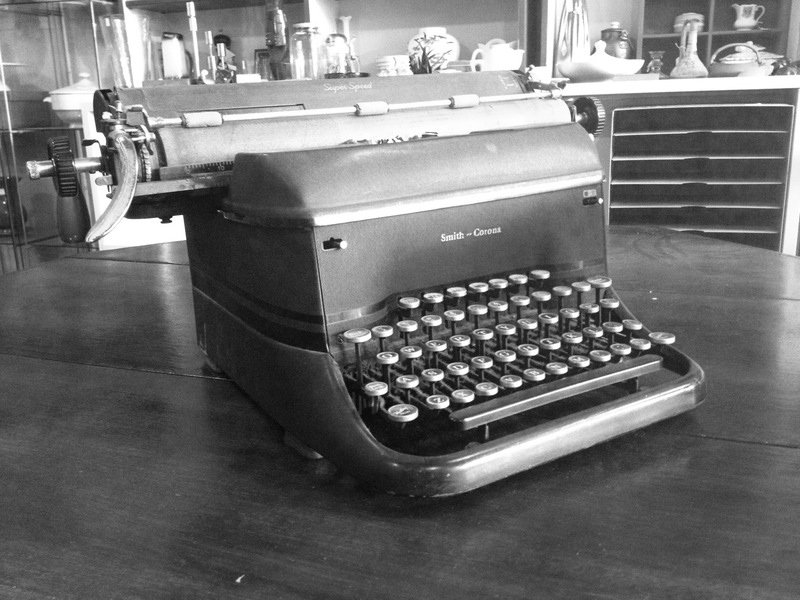 Vintage 1940’s typewriter by Smith Corona. $145 during the sale. Please phone enquiries and holds though on 03 96905557. Desk and Chair. Both sold. 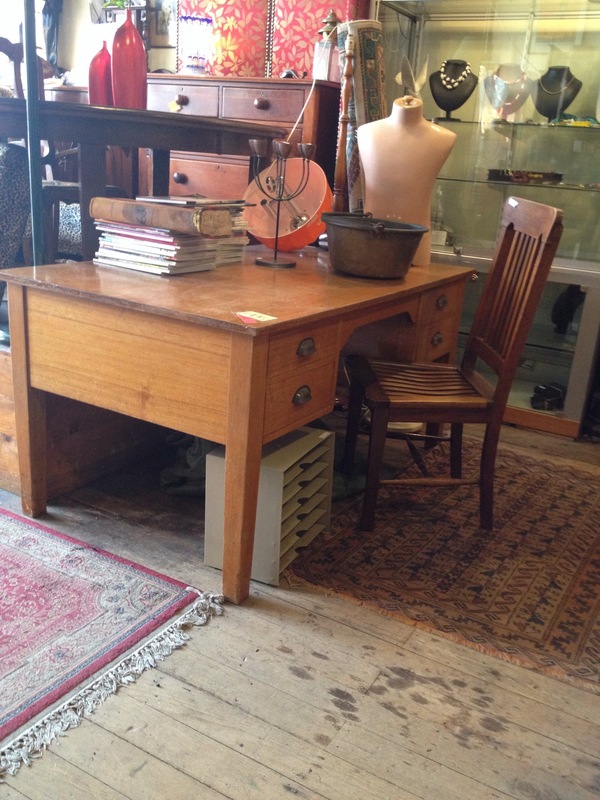 Hardwood desk 1950’s $120 , and a Blackwood chair with slatted seat, Blackwood $66. 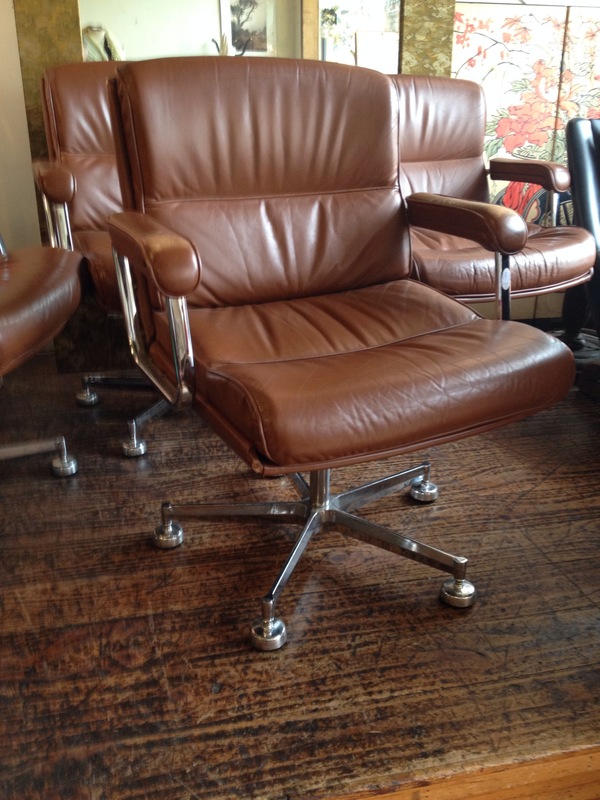 Oval Table and Four Leather Leather Chairs. Table sold. 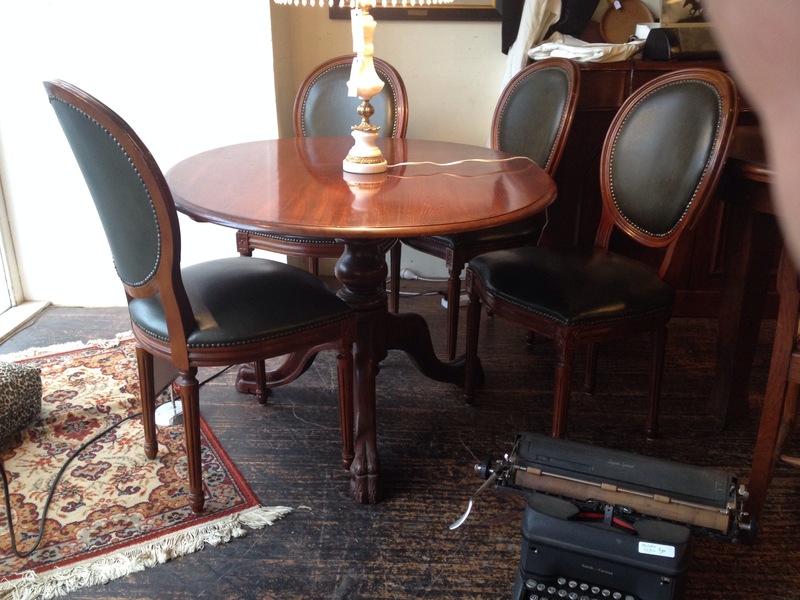 An antique oval library table (previously illustrated) from the late 1800’s and four balloon backed dining chairs. Reproductions in green leather. 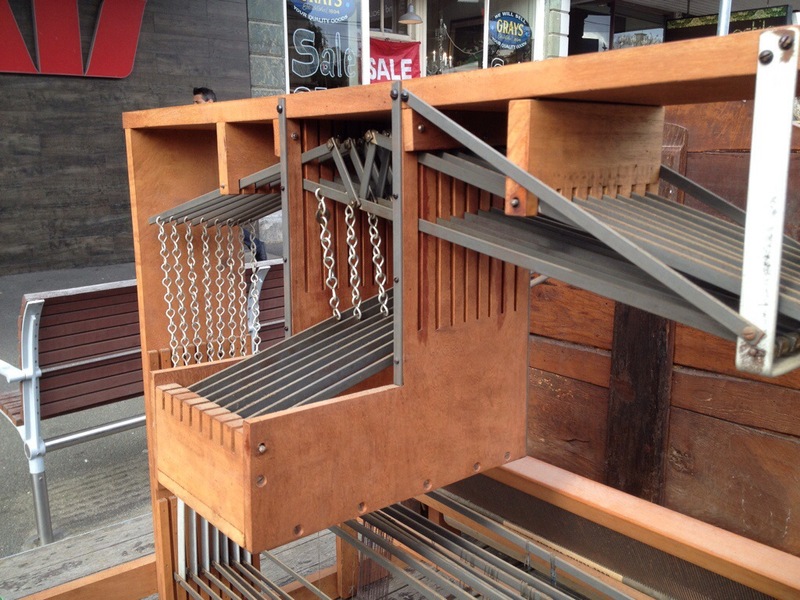 Table was $600, reduced to $450 for the August sale. The chairs reduced from $390 to $290 for the same reason. 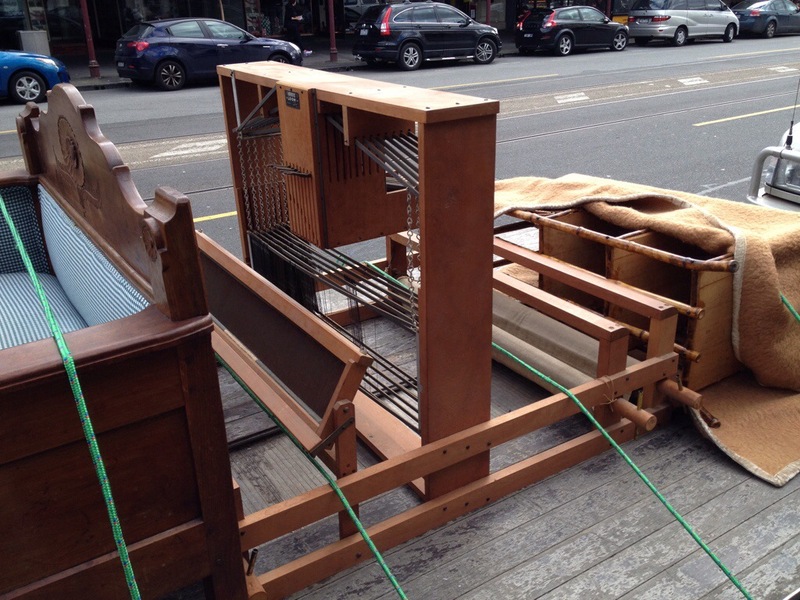 Table sold, chairs still available. 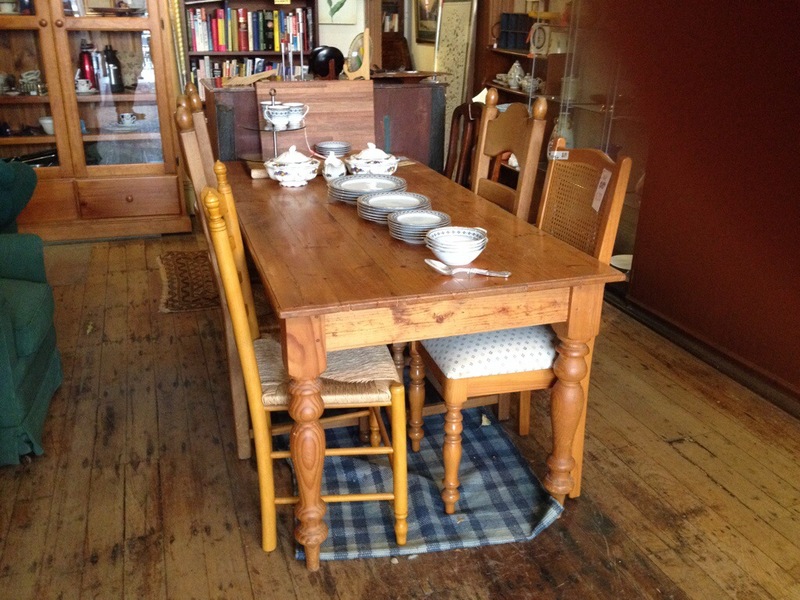 A reproduction country style kitchen table with drawer to seat eight people. Was $285. Now $213.75. 180c x 85c x 76c high. 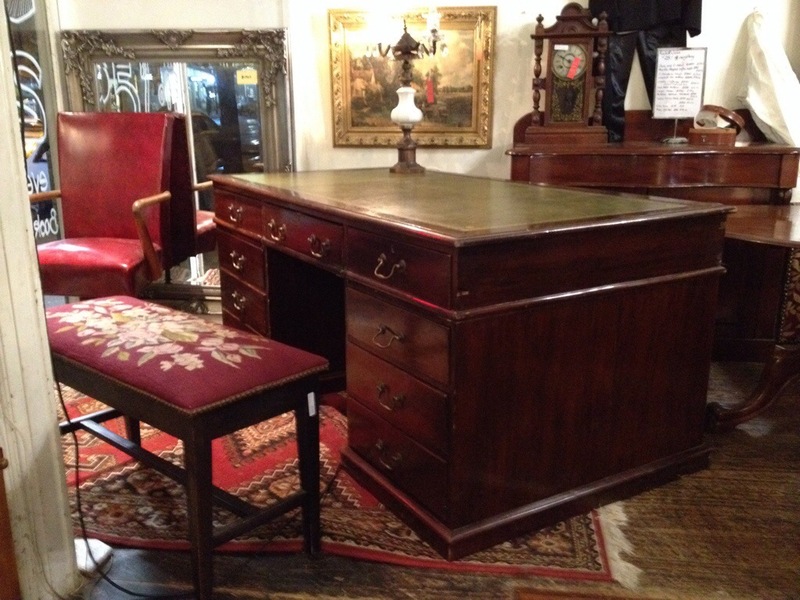 From the early 1900’s this large desk provides a character filled workplace. Long drawers in separate pedestals that come apart without screws to facilitate transport. 180c x 96c x 81c high. Was $600, now 25% off at $450. 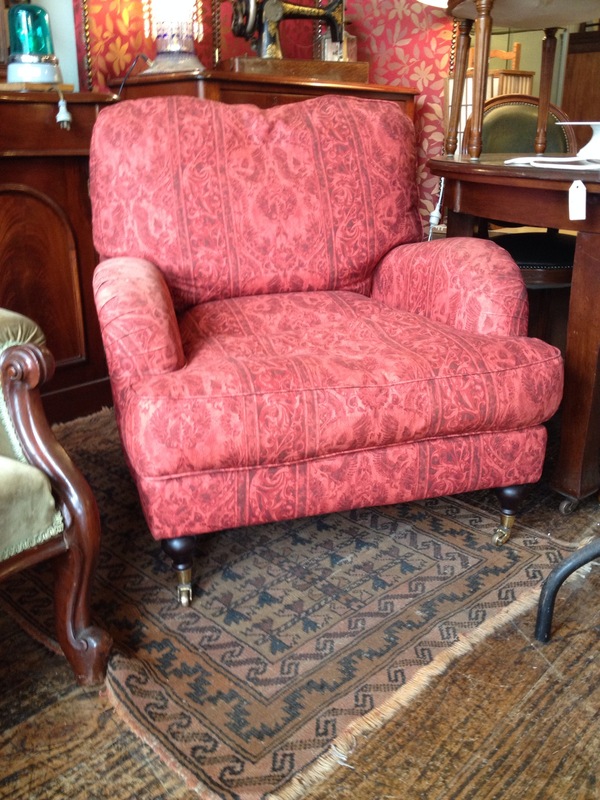 The old red bank chair in the background is also available. Chair and desk now sold. grays303	. Uncategorized	. carpet weaving, handcraft, loom, tapestry, weaving. 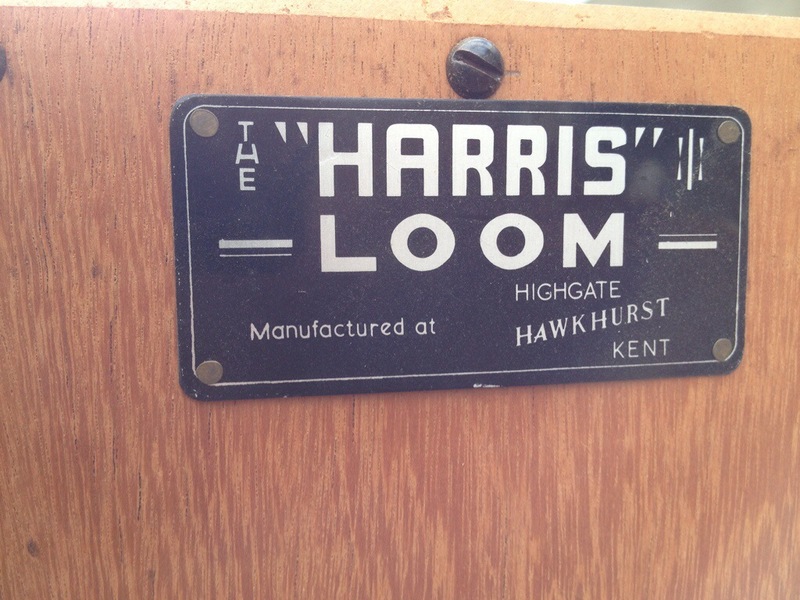 A Harris Loom from Kent in England. 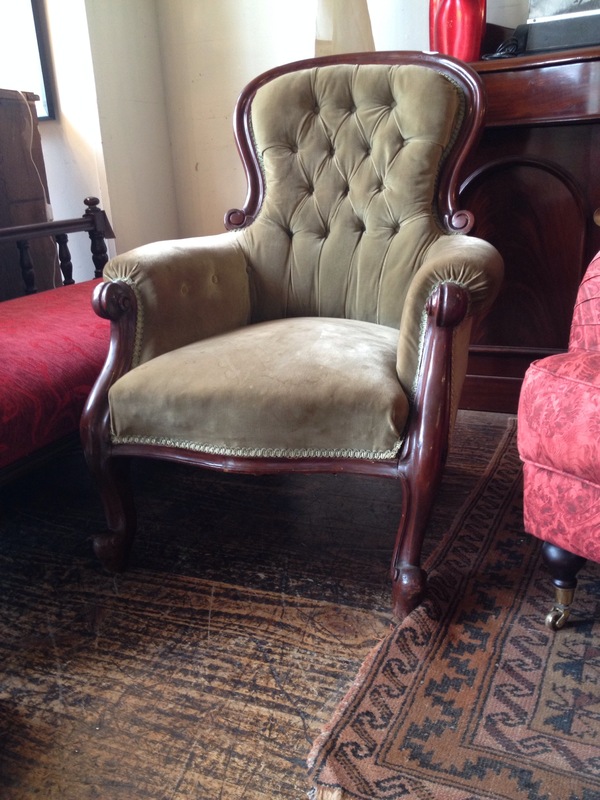 Hardwood frame with brass fittings. This is a tabletop model and is about one metre square. $385. Now sold.